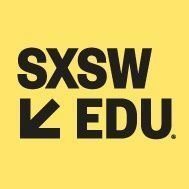 Louisville, KY – Global Game Changers Children’s Education Initiative, a Louisville-based nonprofit organization, is pleased to announce it has been selected as a presenter at the world-renowned South by Southwest Education Conference, to take place March 3-6, 2014 in Austin, Texas. The annual event, which serves as a platform for education innovators to connect, collaborate, create, and change how we teach and learn, has previously featured presentations from Bill Gates and U.S. Secretary of Education Arne Duncan, as well as “Reading Rainbow” legend Levar Burton. This year, Global Game Changers will be joining presenters such as PBS, Google, Harvard University, Knowledge is Power Program (KIPP), and numerous local educators and education-focused think tanks. The conference is part of a collection of festivals celebrating innovations in fields such as music, film, and technology; it has featured the premiere of Oscar winners, launched the careers of Billboard chart-toppers, and helped make Twitter a household name. The Global Game Changers’ session, called “Unleashing Kids’ Passion for Compassion,” will examine the teaching of philanthropy and compassion in childhood education and explore peer-reviewed research showing that kids who care about others are more confident, learn faster, and succeed at a higher level. Justin Walker and Dr. Judi Vanderhaar will discuss how to teach Language Arts in a way that leaves kids able to tell others their favorite way to give back and to make compassion a fun and sustainable part of their self-identity. Justin Walker serves as the Executive Director of Global Game Changers, a nonprofit educational initiative designed to inspire kids to make a lifelong connection to compassion. A graduate of Harvard Law School and Duke University, he clerked on the Supreme Court for Justice Anthony Kennedy, and on the DC Circuit for Judge Brett Kavanaugh. Dr. Judi Vanderhaar is an evaluation specialist in the Data Management, Planning & Program Evaluation Department in Jefferson County Public Schools, Kentucky, the 16th largest urban school district. Dr. Vanderhaar has published research in the Journal of Research in Character Education, the Teacher Educator, and the Journal of Personnel Evaluation in Education. The Global Game Changers, co-founded in 2012 by mother and daughter duo Jan and Rachel Annette Helson, is an innovative educational program designed to inspire children to “ignite good” in their classroom, community, and world. The Common Core/NAEYC-compliant curriculum supports the development of civic engagement, enhancement of literacy, and increased content knowledge in language arts and social studies. The Global Game Changers program is being adopted in schools and youth organizations in Louisville, KY, Spokane, WA, Corydon, IN, and Cuernavaca, Mexico. The results of its pilot program last year showed that the curriculum has an overwhelmingly positive impact on students. Teachers consistently agreed on the high level of student responsiveness to the program, and students showed improvements in engagement, learning, and self-confidence. The Global Game Changers Children’s Education Initiative provides pre-k through 5th grade students with a foundation for achievement in the classroom through its standards-compliant curriculum based around compassion, giving back, and finding each child’s unique superpower to make the world a better place.